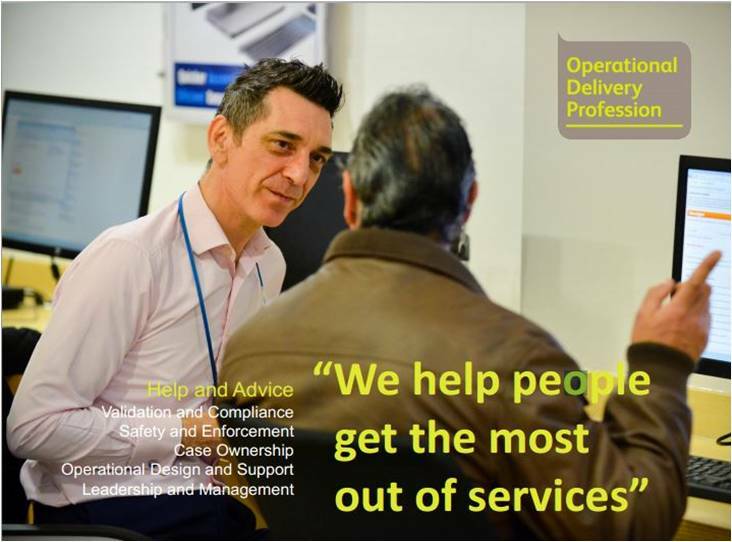 Operational delivery professionals – seven out of ten of all civil servants - are the public face of government and it is by the quality of the work they do that government services are judged. Our session will introduce you to the largest profession across government and the tools and products it has available to help you recognise and develop the professional skills you already have; help you identify some of the skills you are going to need in the future and highlight ways in which you can develop these. Our session will clarify what the profession is, why it was set up and who is a part of it. We will explore what the profession means to you and how it can help you gain recognition for the professional skills you possess. Operational Delivery Profession, ODP, Ops Del - You've probably heard at least one of these phrases at some point. You may not have thought that it was anything to do with you and therefore not taken a great deal of interest in it. With over two thirds of all civil servants being a part of the profession, it is likely most of you reading this are a member of it. Why not take this opportunity to come along and find out what it's all about ?